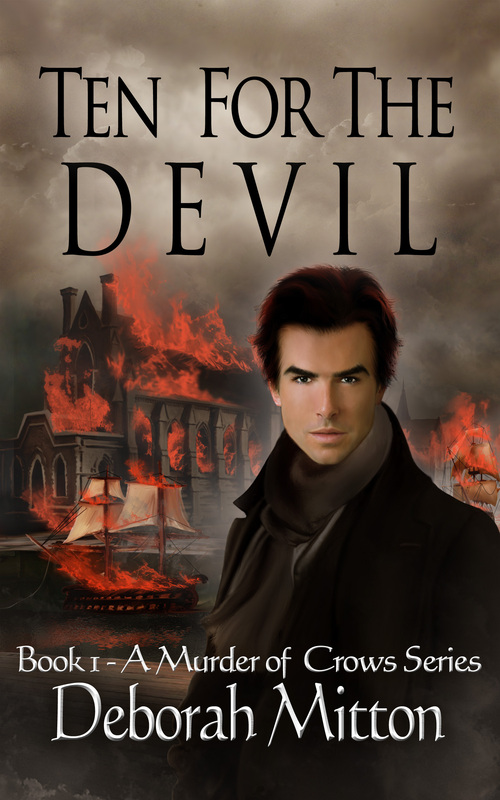 Deborah Mitton’s debut, Ten For The Devil, is an Historical Suspense – Thriller. The title for my novel comes from a 1600 century poem – “A Murder Of One “– author unknown. If you have ever counted crows, you most likely know the poem. 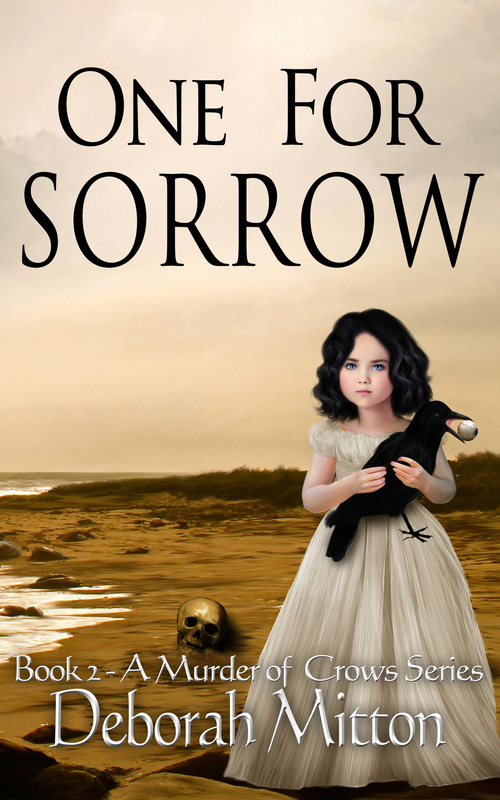 My next WIP is titled “One For Sorrow”. Chief Inspector Michael McLaughlin has believed that is nemesis was dead. Seth Shaw is not dead and is in very city that Michael is visiting. Ten For The Devil is a labyrinthine murder ride from an idyllic English village to the industrious shipbuilding port of St. John, New Brunswick in the newly formed country of Canada. 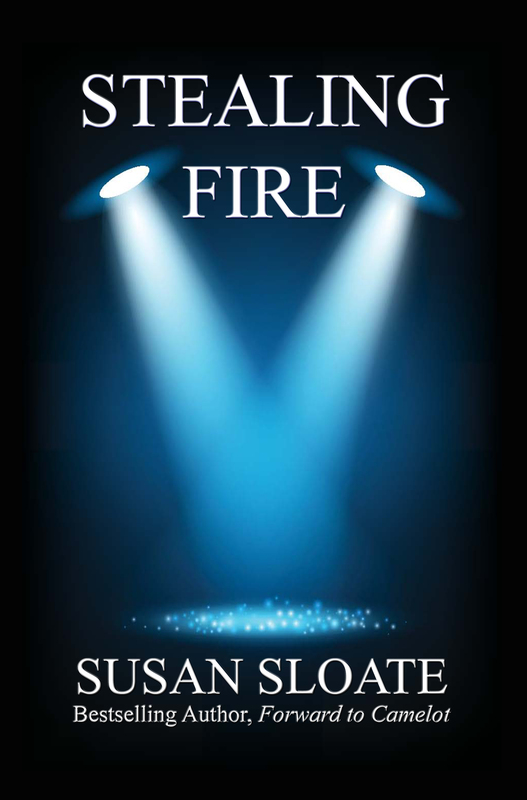 As Michael closes on a collision course with a serial murderer the city is in flames. Michael was an eleven-year old boy when he witnessed the murder of a girl and the lives of the families – friends, of both our murderer and witness are intertwined throughout generations from 1850 to modern day. My first novel is a dark tale of obsession, revenge, murder, a love curse, reparation and survival.Many are murdered trying to help Michael reach adulthood. Our young boy grows up to join Scotland Yard and is obsessed with bringing Seth Shaw to justice. There is a sense of paranormal forces at work protecting our villain. The story’s climax will occur during the fire of June 20, 1877 – in the city of St. John, New Brunswick Canada (now spelled Saint John). The fire was second only in size and damages to the famous the Boston fire. Please welcome guest Lise McClendon and her thoughts on the power of the sidekick in books. Do you have friends? Of course you do. 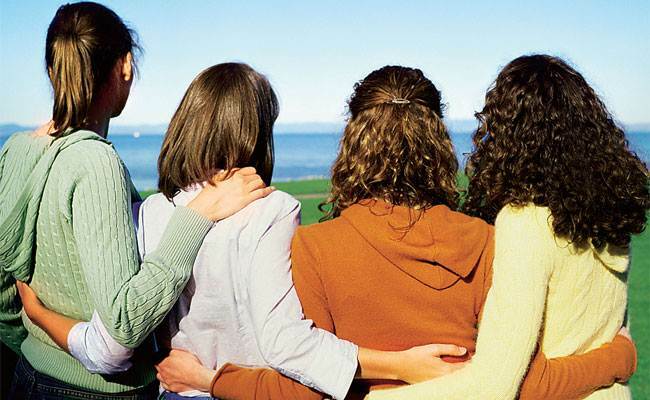 Friendships make everyday life, which often ranges from routine to downright dull, more fun, more manageable, and more understandable. Even more than family, friends are there for you, to laugh and cry and buy you cake. You know how some friends teach you to be a better friend? They somehow know that being a friend is a skill and they want you to be happy and friend-full. 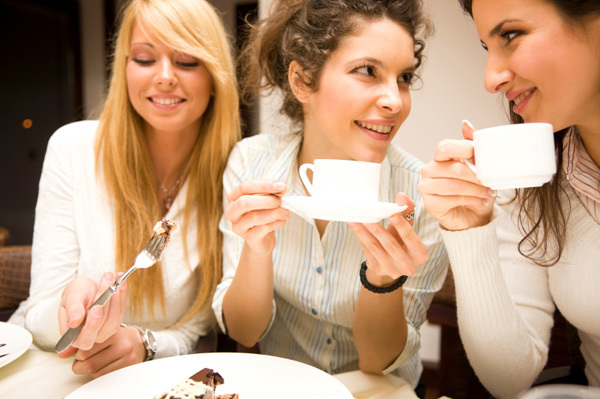 These people, extroverts probably, are experts in friend-making from preschool on. Others, the introverts, the socially awkward, and, yes, many writers, must learn how to give, how to listen, how to share, how to celebrate the successes of others, and all the things that make a person a good friend. It doesn’t matter if you’re a natural or you have to work at it. Just fulfilling that need for friends is where it’s at. One of the joys of my life is figuring this friend thing out, and the incredible friends I’ve made over the years. Characters in novels need friends, too. They may not think they do because they are Shane-like, the solitary hero who wanders into town and makes everything right. But scratch the surface of any good protagonist and you’ll find deep relationships. Maybe they aren’t strictly in the friend category; maybe they’re co-workers, husbands or ex-wives, dead brothers or high school teammates. But no one is truly alone. And when building a character and her past it’s important to remember that while she may go on her quest alone, she brings with her all her friends, at least in her head. Because a person, and a character, is the sum of all their experiences, and their relationships, good and bad, are a key element in that. Along the way she may make new friends, mentors and guides in Quest-speak, and even enemies can become helpers and friends. The ultimate friend in fiction is the sidekick. The second man, the understudy. Their number is legendary, from Sherlock’s Dr. Watson and Crusoe’s Friday, to Don Quixote’s Sancho Panza and Tom Sawyer’s Huck Finn. Where would Harry Potter be without Ron and Hermione, or Spenser without Hawk? How could Dorothy have gotten home from Oz without her three sidekicks? The sidekick is a powerful figure in stories because he has so many vital roles. He contrasts with the protagonist, playing up the good qualities of the hero. The two of them can banter, discuss, and give information to the reader. The sidekick can be wilder, more carefree, rule-breaking or even criminal, moving the plot in ways that the hero in his goodness and single-mindedness can’t. But most importantly the sidekick makes the hero or heroine seem more human. The protagonist can appear bigger than life, a person without flaws, possessing superhuman strength or intelligence or both. The friend is the person who calls them on their crap, who brings them back to Earth, who reminds the reader that if the hero can have one loyal friend, they are maybe, just a little, like you and me. Even if you don’t give your hero a true sidekick, try to interject a friend somewhere. It makes your character more alive, more human, more connected to their world. 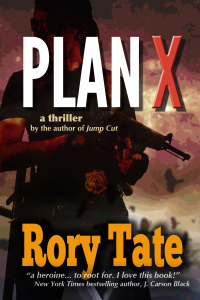 In my new thriller, PLAN X, my heroine, Cody Byrne, is a cop with a little PTSD problem she’s hiding from everyone. Everyone, that is, except her best friend. Her friend makes one small appearance in the novel but Cody thinks about her often. It was important that somebody would know her so well that she can’t keep secrets from them. Cody’s family is spread around the globe, her brother was killed in Afghanistan, and she’s both attracted to and afraid of relationships with men. So her friend’s loyalty and insight is one bright spot in her psyche. Cody ends up in London, tracking down the identity of the Shakespeare professor who’s blown up in Chapter One. There she meets her real sidekick, friend, and helper, the legal attaché at the US Embassy. But that’s halfway through the novel. Back home she needs a connection with somebody: a friend. Because we all need friends. Friends keep it real, both in life and in fiction. Who are your favorite sidekicks in fiction? 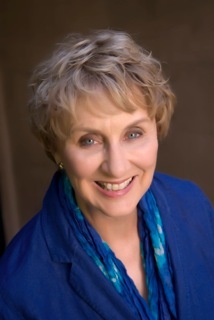 Lise McClendon is the author [as Rory Tate] of the new thriller, PLAN X. 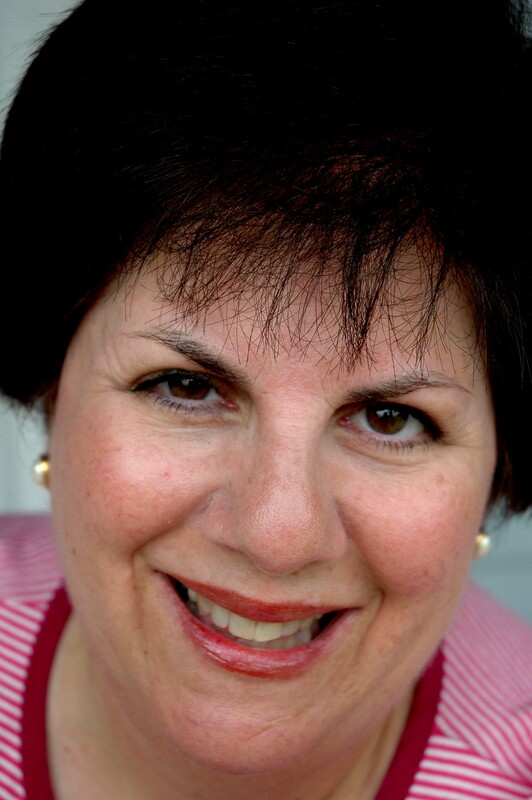 She has written two mysteries series and several stand-alone novels. Her website is www.lisemcclendon.com. You can find her on Facebook and follow her on Twitter as @LiseMcClendon. She gives a shout-out to her sidekicks including (but not limited to) Sherri, Emilie, Angie, Chris, Bess, Debby, Katy, Diane, Rena, Cindy, Susan, Helen, Melody, and Patricia. Love you, friends. Auntie M is embarking on an adventure! She’s won a grant to attend St. Hilda’s Crime Conference in her beloved Oxford, site of the first Nora Tierney Mystery, The Blue Virgin (which is a finalist in the Murder and Mayhem Fiction Awards from Chanticleer Media). After the conference she’ll be traveling around the south of England, researching settings for upcoming books in the series. In her absence, she’s arranged for a stable of great guests to blog in her stead. 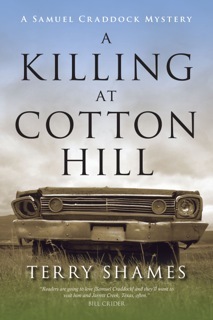 These kick off with the wonderful new release by author Terry Shames, A Killing At Cotton Hill. It’s an honor to be a guest on Auntiemwrites. Auntie M writes fantastic reviews that I look forward to. I won’t be reviewing my own book, A KILLING AT COTTON HILL, today. Instead I’ll be sharing with you some thoughts on how and why it was such an easy book for me to write. Because it took two years for my agent to place my book with a publisher, A KILLING AT COTTON HILL got a little fuzzy in my memory. So when I first saw the cover, although I loved the look of it, I wondered what it had to do with the book. Once I started rereading, I realized that the cover artist caught the undercurrent that runs through the book: Samuel Craddock early on says he feels like a rusted out old car. He has lost his wife and his focus in life. Once I understood what the artist had in mind, I wondered what kind of car it was. After hours on the Internet looking at different grills, I finally ran into a man in a department store who looked at my cover and said with serene self-assurance, “It’s a 1962 or ’63 Dodge Dart. I know my cars.” I ran to look it up. No, it wasn’t. I turned to my audience, and held a contest to find out. Instant success: It’s a 1966 Plymouth Belvedere. The exercise in reading the book for car references lead me to rediscover how much I love my characters. People have asked me where the character of Samuel Craddock came from and how I chose the setting. Unfortunately the real answer is lost. All I know is that I sat down and started writing and two months later, the first draft was done. It seemed effortless—even though most of it was written while I was aboard our catamaran, with lots of guests and activities to keep me busy. I got up every day at 6 AM and wrote for two to three hours, nonstop. I had heard of authors feeling like they channeled their characters, but this is the first time I had experienced it. What I do know about the inception of the book is that I had decided that it was time to write a book that would sell. I had written six other novels, all of which had secured good agents, but none of them sold. This time I was determined to write, “the book only I could write.” I had written several short stories about Jarrett Creek, so I had a ready-made cast of characters. But who would be the focus of investigating crimes in the town? I had a vague idea that he would be someone like my grandfather, who was a force in the small town where he lived for almost his whole life. He was never in law enforcement, but he was smart and had his finger on the pulse of the town. The one-time mayor of town, he was called on for years afterwards to solve odd problems. I didn’t think an ex-mayor would be a particularly good investigator—but suppose I made him an ex-chief of police? The rest, as they say, is history. Although the main inspiration for Samuel Craddock was my grandfather, there was another person stirred into the mix. Probably my closest friend for thirty years was a man from Kentucky who had a dry wit, a jaded view of people and a southern accent. He died a year before I started the book, and I missed him. So Samuel Craddock is really a blend of my upright grandfather and my droll friend Charlie. Other characters in the book stepped from real life onto the pages. I know the killer in person—although as far as I know he has never really killed anyone. I know the model for Rodell, Jarrett Creek’s chief of police. He was a hard-drinking man. I know the murder victim and Samuel’s friend Loretta—and all the other people who show up. None of them is a direct match for a real person; they are blends of people. And these people aren’t all from my personal past–some are from stories I heard growing up. I also know the geography of Jarrett Creek intimately. I can go there in my head and walk around. I know who lives in what house, the man who has a dog that barks non-stop, the woman whose elderly mother lives with her. I know who is stingy, who is generous, who is foolish, and who is kind. I know the people who have had hard luck, and those who laugh at their worries. And here’s the part that I can hardly fathom: I love all of them. I love their foolishness and their intelligence; their kindness and their selfishness. I even care about the bad people. My hope is to convey through my writing that villains usually behave out of desperation. It doesn’t let them off the hook; but I hope readers understand and maybe have a bit of empathy for them the way Samuel Craddock does—even as he hands them over to the law. The chief of police of Jarrett Creek, Texas, doubles as the town drunk. 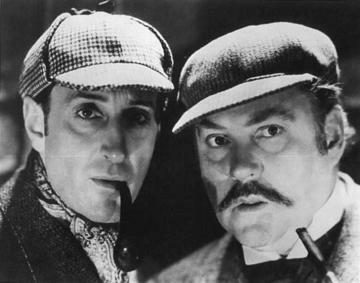 So when Dora Lee Parjeter is murdered, her old friend and former police chief Samuel Craddock steps in to investigate. He discovers that a lot of people may have wanted Dora Lee dead—the conniving rascals on a neighboring farm, her estranged daughter and her surly live-in grandson. And then there’s the stranger Dora Lee claimed was spying on her. During the course of the investigation the human foibles of the small-town residents—their pettiness and generosity, their secret vices and true virtues—are revealed. Terry Shames offers readers a wonderfully-told tale that kept me turning pages… what kept my interest more than anything was the writing. It was absolutely superb. A KILLING AT COTTON HILL enchants with memorable characters and a Texas backdrop as authentic as bluebonnets and scrub cedars. A splendid debut by a gifted writer who knows the human heart.